EAST RUTHERFORD, N.J. -- Jim Leonhard came out of nowhere, just like the New York Jets. He chased down Jason Witten and wrestled him out of bounds, saving a touchdown and giving his team a chance to pull off one of the most improbable comeback victories in franchise history. 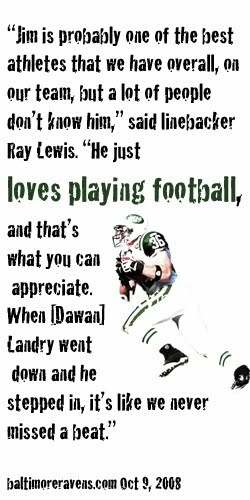 On an unforgettable night at MetLife Stadium, where the Jets and Dallas Cowboys met on the 10th anniversary of the 9/11 attacks in nearby Manhattan, Leonhard made the play of plays -- the one that symbolized the Jets' 27-24 win in the season opener. It was all about grit and hustle, about the small guy coming up big -- and there was a lot of that for the Jets, who won for only the third time in team history after trailing by at least 14 points in the fourth quarter. The previous time was the "Monday Night Miracle" in 2000. AP Photo/Julio CortezJim Leonhard knocked Jason Witten out of bounds at the 3-yard-line, saving a touchdown. Dallas fumbled three plays later. For this mini-miracle, Leonhard came up huge, as did Mike DeVito, Sione Pouha, Joe McKnight, Isaiah Trufant and Nick Folk. It was that kind of night. Rex Ryan, caught up in the emotion, said "it might have been the best team effort I can ever remember being part of." On Leonhard's play, he prevented what was going to be a 67-yard touchdown reception by Witten. Leonhard sprinted some 40 yards and knocked Witten out at the Jets' 3-yard line with 10 minutes left in the game -- the 5-foot-8, 188-pound safety going up a few weight classes to take out the 6-6, 265-pound tight end. If Leonhard hadn't shown up, the Cowboys would have taken a 14-point lead. But Leonhard didn't give up. 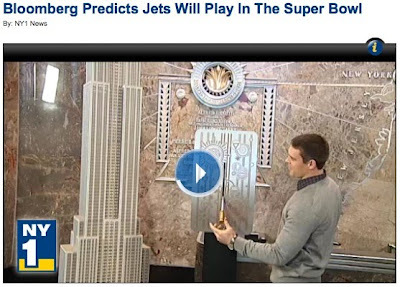 Neither did the Jets, who wanted to win badly for New York. They were swept up in the 9/11 patriotism, which included a poignant pregame ceremony, and wanted to do right by their town. Linebacker Bart Scott said "there was something special in the air." And guard Matt Slauson said, "We had no choice but to win." The Jets felt immense pressure, in part because Ryan declared last week that he'd never felt so much pressure leading into a game. "You wanted to win for yourself, but you also wanted to win for the city," Leonhard said. "Rex said it was a team win. Everyone stepped up. The city stepped up 10 years ago. This was a celebration of what's gone on over the last 10 years. We kept fighting, just like they did." Leonhard wasn't comparing a football game to a horrific terrorist attack; that would be trivializing a tragedy of unspeakable proportions. He was simply trying to capture his team's indomitable spirit. The Jets overcame deficits of 10-0 and 24-10. They overcame two killer turnovers by Mark Sanchez. They overcame some sloppy pass defense. They overcame Rob Ryan, whose blitzing defense almost out-Rexed his twin brother. It looked like this wasn't going to be their night. It looked like America's Team was going to run New York's Team out of its own place. Up stepped Leonhard, the Jets' version of Mighty Mouse. "It was one of those plays where you just keep running because you never know what might happen," he said. "We always have a saying, 'They're not in until they're in.'" The Cowboys were in control, taking a 24-10 lead at the start of the fourth quarter after a gimme touchdown off an interception by Sanchez. "It looked bleak; there's no question about it," Rex Ryan said. The Jets answered with a Sanchez-to-Plaxico Burress touchdown, but they let Witten get free in their secondary for the 64-yard pass play from Tony Romo. Ball at the 3. On third down, Romo was pressured and tried to scramble back to the line of scrimmage, but the ball was jarred loose by DeVito. There was a rugby scrum for the ball. Pouha grabbed it and threw his 330-pound body over the pigskin, wrestling it away from Cowboys rookie tackle Tyron Smith. "The ref said, 'Where's the ball?'" Pouha said. "My stomach was eating it." "If we get points there," Witten said, "the game is probably a different story." Sanchez, matching Romo for carelessness, fumbled it back to the Cowboys on the Jets' ensuing possession. But the defense held, forcing a Dallas punt. One more time, the Jets, a team known for their big names, received a clutch play from the bottom of the roster. Third-string tailback McKnight, trying to do something -- anything -- to stay in good graces, came free up the middle and made a one-handed, diving block on Mat McBriar's punt. Trufant scooped it up and ran 18 yards for a game-tying touchdown with five minutes left. Now you're thinking "Who is Isaiah Trufant?" He was the 46th man on the 46-man roster, signed Saturday from the practice squad. Two weeks ago, he was cut by the Philadelphia Eagles, flew home to Seattle, landed and returned immediately on a cross-country flight when he learned the Jets had acquired him. "It's been somewhat of a roller-coaster ride," Trufant said. The teams exchanged punts, but the game turned when Romo made a bad decision. He challenged Darrelle Revis and threw a Pop Warner pass to Dez Bryant, resulting in the interception that set up Folk's 50-yard field goal. It probably was one of the sweetest moments of Folk's career, considering that he was fired by the Cowboys in 2009. "We kind of emulate what this city's all about: sticking together, being resilient and persevering through everything that was going on," Burress said. It wasn't artistic, but it was some show. Published: January 20, 2011 2:38 a.m.
Last modified: January 20, 2011 2:41 a.m.
Just days after former Jets lineman Dennis Byrd walked into the team’s meeting room to share his inspirational story of overcoming a paralyzing injury suffered on the football field, safety Jim Leonhard walked into the Jets locker room for the first time in more than a month on his own strength. 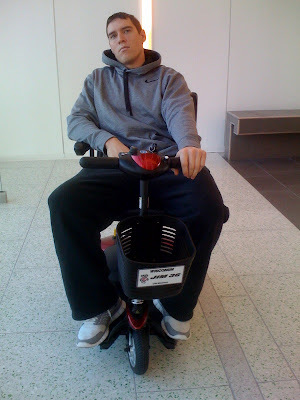 Leonhard, who suffered a season-ending knee injury in December, had been relegated to moving around in an electric scooter. Now the Jets safety and the man considered the “quarterback of the secondary” scooted around the Jets locker room on his own two feet yesterday. This week is the first time that Leonhard, who moved with a slight limp, has walked around on his own two feet. The injury was a result of a collision with a practice squad player, shelving Leonhard right before the Week 13 showdown in New England. He voiced his frustration at not being able to help the team on the field for Sunday’s AFC championship game but plans on going to the game to support his teammates. Leonhard remains uncertain about being available for offseason training and conditioning but he said his goal is to be back on the field for next season. NEW YORK (WABC) -- There will be a rally in Times Square for the New York Jets Thursday afternoon. The rally will take place on Broadway between 42nd and 43rd Streets from 5:30 to 6:30 p.m.
Mayor Michael Bloomberg, Jets owner Woody Johnson, General Manager Mike Tannenbaum, Safety Jim Leonhard, Nose Tackle Kris Jenkins and the Flight Crew Cheerleaders will all be on hand to help get fans pumped up for Sunday's game against the Pittsburgh Steelers. There will also be giveaways for fans that include Jets Playoff Rally Towels courtesy of JetBlue and Toyota, Foam Fingers courtesy of Pepsi Max and commemorative. One lucky fan and a guest will win a trip to this weekend's game courtesy of JetBlue and PrimeSport. 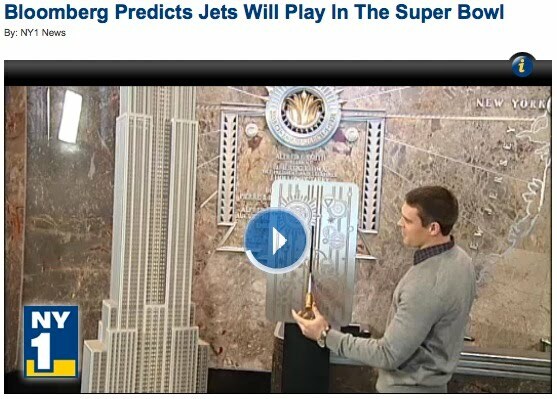 The Jets AFC Championship Rally is presented by Hess, JetBlue, Papa John's and Pepsi Max. Today is LET US PLAY Day. 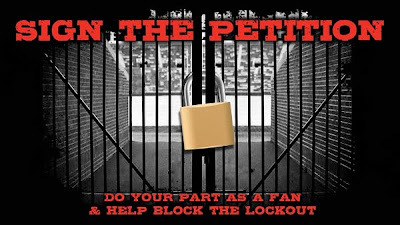 Help NFL Players and Fans Block the Lockout. Visit NFLLockout.com and sign the Petition. For more information on how the NFL owners have planned to keep the players from playing next season, go to the NFLPA's Lockout Central to find fact sheets and more. Jim Leonhard is used to being in the thick of the action on the Jets' defense, so his view of tomorrow's wild-card playoff game at Indianapolis will be particularly vexing: He'll have to watch on TV. "It's terrible," said the safety, who has not played since breaking his right leg in a practice collision on Dec. 3, three days before the Jets' game at New England. "On TV, you can only see so much, especially being a defensive back -- 90 percent of what they do, you can't see it," he said. "It's miserable watching games on TV. But it's part of the deal. It's part of what it is right now." In the locker room yesterday, Leonhard was using a cart -- sporting a license plate with "Jim 36" and "Wisconsin" (his alma mater) on it -- and hopped around his locker. He should be back for next season, but he can't be on the sidelines for games yet so he won't be heading to Indianapolis. Leonhard was one of the key contributors to last year's Jets postseason run, so the fact he has not been able to get on the field since the last week in November is crushing. "I've been around in the NFL long enough to realize that December, January and beyond is when you want to be playing football," Leonhard said, "and that's when you want to be helping your football team, and to not have that opportunity, it hurts. "It definitely hurts a lot." The fan favorite who was essentially the secondary's quarterback, was placed on injured reserve after breaking his leg and won't be part of the Jets' playoff run -- for however long it lasts. And last year, thanks to Leonhard, the run lasted pretty long. In the wild-card win over the Bengals, he had a sack and a forced fumble. In the divisional victory against the Chargers, he picked off Philip Rivers and made six tackles. Nevertheless, Leonhard remains useful. He watches tape and speaks to the safeties and defensive coaches, dispensing details that might benefit his crew. "I love these guys," he said. "This is my team." "He comes by every now and then and talks to us," safety Brodney Pool said. "This week especially." Leonhard is pain-free, has been strengthening his leg and is preparing for an important doctor's appointment Monday when he'll have a five-week evaluation and -- hopefully -- loose his crutches. "It's starting to come along," he said. "These guys definitely need to keep winning because time flies during the season and I've kind of got a feeling that it's going to slow down significantly once we're done playing. "[I'll] appreciate some wins out of these guys."